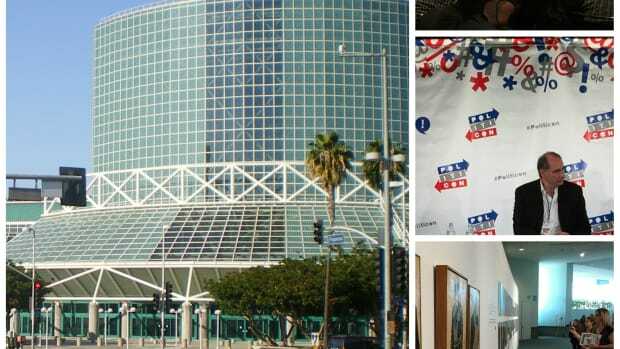 LOS ANGELES, CALIFORNIA — The premise of Politicon didn&apos;t make immediate sense to me. At this two-day long, Comic Con-styled "non partisan ... event for politics and entertainment," you can walk right out of a panel with Patrisse Cullors, the co-founder of the Black Lives Matter movement, to an improv act with the Upright Citizens Brigade, to a town hall-style sit down with guys like Newt Gingrich and David Axelrod. And you can do it all within the comfy confines of the L.A. Convention Center, which, as my colleague Michael Fitzgerald shrewdly observed, looks like a building from Gattaca. This is all to say: Politicon is far-reaching and fantastically weird, but, more than anything, it&apos;s proof of the importance of comedy in the political sphere. That&apos;s what 10 hours spent wandering a monolithic, Gattaca-esque complex taught me. Mainstream media has an accuracy problem. Last April, Tampa Bay Times fact-checking machine Politifact reported that 59 percent of the comments made on Fox News were "Mostly False or worse." MSNBC, meanwhile, only provides viewers with 42 percent "Mostly False" news. The best of mainstream news sources: CNN, which only registered 22 percent "Mostly False" claims. With overall dismal numbers like that, it&apos;s not much of a surprise 63 percent of Americans say news stories are often inaccurate, according to the Pew Research Center. If analysts at Microsoft Research are correct, a startling number of American Web users are no longer paying attention to the news as it is traditionally defined. In a recent study of "filter bubbles," Sharad Goel, Seth Flaxman, and Justin Rao asked how many Web users actually read the news online. Out of a sample of 1.2 million American users, just over fifty thousand, or four per cent, were "active news customers" of "front section" news. The other ninety-six per cent found other things to read. 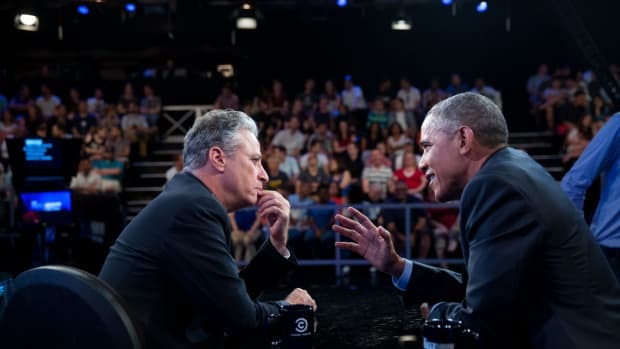 This past November, Paul Brewer, a communications professor at the University of Delaware ... how knowledgeable viewers of The Daily Show, Colbert Report, and HBO&apos;s Last Week Tonight With John Oliver were about the ongoing net neutrality debate, compared to viewers of the traditional news programs. Surveying 900 adults, Brewer found that 29 percent of Last Week Tonight viewers had "heard a lot" about net neutrality, compared to 23 percent for Colbert Report and 22 percent of Daily Show viewers. Those who watched the big news networks, on the other hand, fared far worse; 11 percent of both MSNBC and CNN viewers reported seeing heavy coverage on the net neutrality debate. Worse yet, that number dropped to just seven percent for Fox News viewers. I&apos;m thinking of these figures as I talk with Lizz Winstead, co-creator of the Daily Show. "We used to rely on the media to be our watchdogs of politicians," says Winstead, who just moments ago was sitting on a panel addressing this very issue. 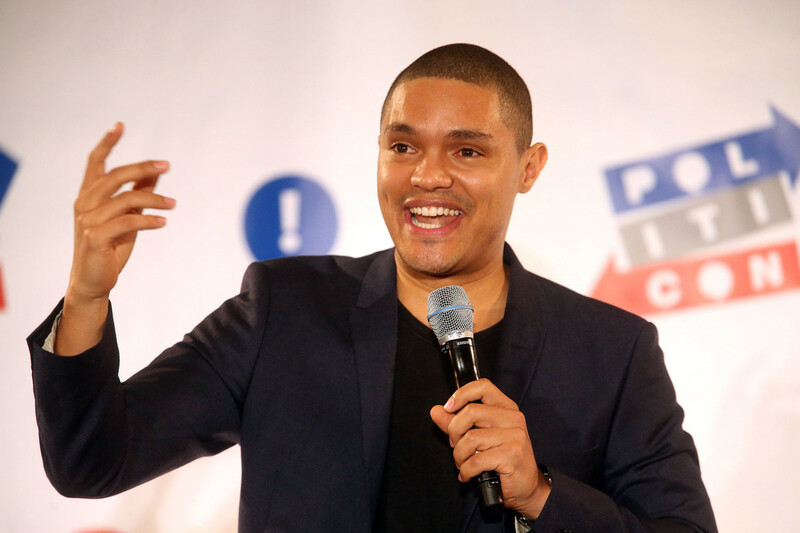 "And now the media has become so derelict that comedians are [their] watchdogs." Going by what Winstead says, and what the data would suggest, political satire serves two functions: to entertain and to inform. Sitting through the "Deconstructing &apos;16" panel only proves Winstead&apos;s point. This event was billed a breakdown of "the campaign as it stands now," courtesy of Newt Gingrich, James Carville, David Axelrod, John Avlon, and Alex Castellanos. My highlight: The woman in the crowd who suggested Bernie Sanders was a socialist, a notion that John Avlon promptly shut down. The big "Deconstructing &apos;16" takeaway: It&apos;s a good thing we&apos;ve got satire. Walking aimlessly down one of the L.A. Convention Center&apos;s hallways, I bump into Daily Show correspondent Jordan Klepper. I asked him how he thinks the event is unfolding. "I&apos;m excited about the discourse that appears to be happening," he responds. "I walk into a room and I hear people from the left, from the right. You see the people who are excited about politics, which is something you don&apos;t get a whole lot face-to-face time with usually. I think the excitement is something that can travel over party lines." If that&apos;s really the case, then Politicon is hitting its goal. As Noah twisted his way through a story about being pulled over in California—peppered with commentary on the media&apos;s portrayal of Trayvon Martin, Michael Brown, Walter Scott, and Eric Garner—the answer was once again made clear: With the adjacent declines in media quality and political integrity, we need satire now more than ever. Near the end of his act, Noah&apos;s pace slowed a bit, his tone grew more serious. Speaking about Martin and Brown and Scott and Garner, he chuckled: "I just don&apos;t know how not to die." A moment later, he had the crowd doubled over in laughter. 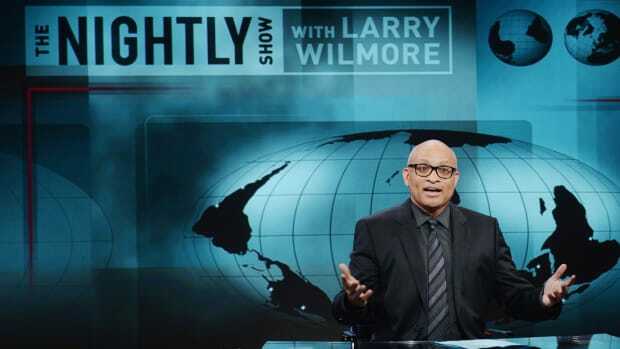 Larry Wilmore’s new Comedy Central show is very good, and much needed. We’re happy to consume satire when it congratulates us on our intelligence; in other countries, “taking artistic risk” actually means something.